A woman named Maureen Valdez ran out the doors of the Mark O. Hatfield Federal Courthouse in downtown Portland on Thursday and shouted, “Not guilty!” to a soon-to-be-large crowd of demonstrators and media. She was announcing the verdict for brothers Ammon and Ryan Bundy and five others acquitted after facing trial for the occupation of the Malheur National Wildlife Refuge in eastern Oregon in early 2016. Supporters embraced one another outside the courthouse. Many cried. The verdict also unearthed new questions about the seven occupiers still awaiting trial, the so-called patriot movement, the Bunkerville case in Nevada, and racial equity. 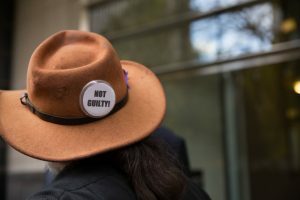 OPB’s “This Land Is Our Land” podcast further explained the jury’s decision. Here are three things we learned from Thursday’s verdict. Despite the verdict and an animated protest from defense attorney Marcus Mumford, Ammon and Ryan Bundy will remain in federal custody for now as they await trial for their roles in the 2014 standoff in Bunkerville, Nevada. Six defendants originally charged in the Malheur case, including the Bundy brothers, face charges in Nevada. The verdict in Oregon will certainly color the conversation around the Nevada trial. The Bundys’ father, Cliven Bundy, led the 2014 standoff with federal agents in Nevada. 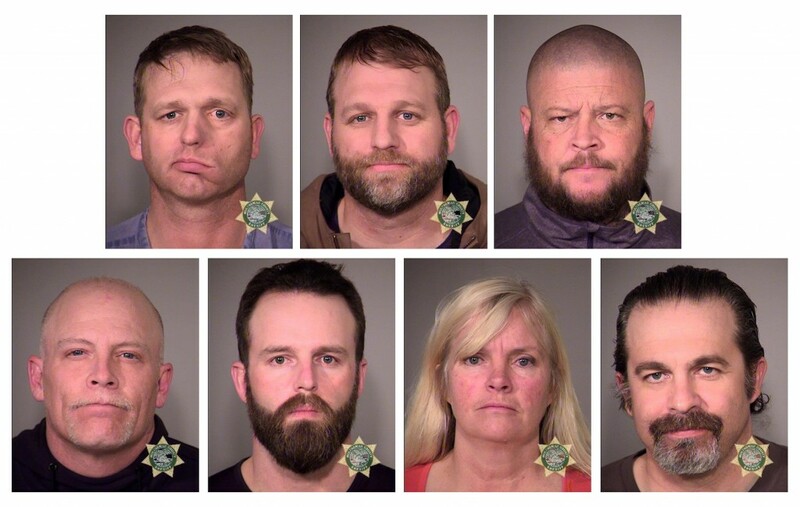 The elder Bundy flew to Portland around the time his sons were arrested in Oregon and was almost immediately taken into custody himself. Pete Santilli, a conservative internet radio host from Cincinnati, also faces charges in Nevada. Prosecutors dropped charges against Santilli stemming from his role in the Oregon occupation. Thursday’s verdict is far from the last we’ve heard of what came to be known as the Oregon Standoff. Seven people, including husband and wife Sean and Sandy Anderson — two of the last four to leave the refuge — still face trial in February. It is unclear if the not guilty verdict returned Thursday will have any impact on the trial yet to come. It is also uncertain how this will affect Ryan Payne, an occupation leader who wants to retract his guilty plea. The federal government has until Monday to file a response to Payne’s request, at which point the judge will rule if he can withdraw it and go to trial in February. Shawna Cox, one of the defendants acquitted Thursday, said the so-called patriot movement highlighted in the Oregon occupation will continue. Cox said she expects more protests like the one at the refuge. OPB’s “This Land Is Our Land” podcast examined the patriot movement — a loosely-connected network of organizations that are united in the belief the federal government has overstepped its authority. Throughout the trial, defendants painted the jury’s decision as a check on the federal government.